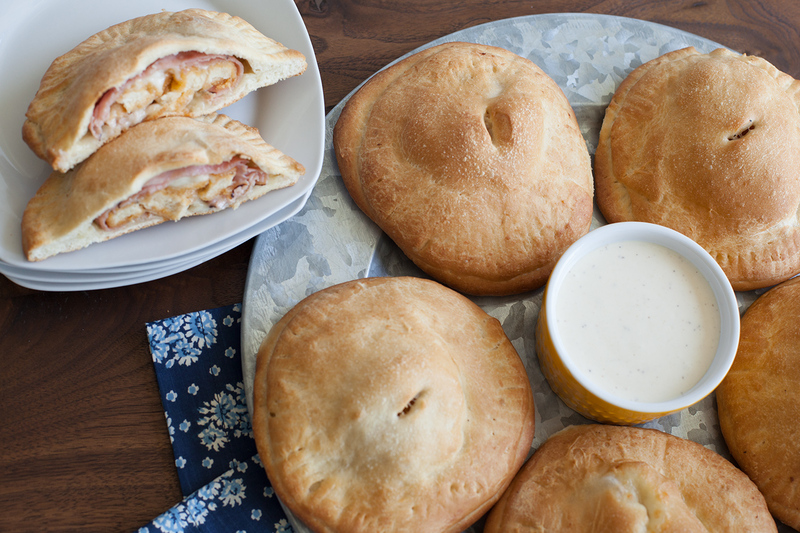 These tasty hand pies are perfect plus they’re easy to eat without any mess. Spray counter lightly with cooking spray. Press each dinner roll into a 5-inch circle. Keeping a clean edge, spread a teaspoon of ranch dressing on half of the circles. Layer a slice of ham, about 9 chicken nugget pieces and cheese on the ranch. Top with another dough circle, pressing around the edges. Use a fork to seal the two pieces together. Repeat with the rest of the circles to make 6 hand pies. Place pies on a sprayed baking sheet. Brush tops with olive oil and let rise 30 minutes. Bake at 350 degrees F 15-20 minutes. Serve with extra ranch dressing for dipping if desired.